“In this talk I will first give a general introduction to the high resolution spectroscopy techniques in the microwave, millimetre and infrared spectral range and how they can contribute to the knowledge of the astrophysical medium or the planet atmospheres. The topic of our work concerned mainly molecules containing large amplitude motions and in particular molecules containing one or two methyl (CH3) internal rotors or inversion like in ammonia NH3. One of the goals of our work is to describe with our theoretical method and codes the energy levels, and then the line positions and intensities for this type of molecules. That way we can provide reliable predictions of line positions and intensities for astrophysical molecules containing one internal rotor CH3, such as the isotopic species of methyl formate HCOOCH3, methanol CH3OH, acetic acid CH3COOH, acetaldehyde CH3CHO or acetamide CH3CONH2. The major new facilities, the Herschel Space Observatory and the Atacama Large Millimeter Array (ALMA), in Chili, now open the sub-millimeter region up to a few THz for astronomical observations by making investigations with unprecedented high sensitivity and resolution. Molecules which undergo internal rotation of a methyl group present thousands of lines in this spectral range and therefore their spectra are particularly important to model. I will show some of the recent results in the microwave or infrared range for those molecules, and some applications in astrophysics. We will also present recent results for the study of a two-top internal rotor, the methyl acetate molecule CH3-O-C(=O)-CH3, which has been very recently detected in the interstellar cloud Orion thanks our prediction. Dr Kleiner is Directeur de Recherches at the Centre National de la Recherche Scientifique (CNRS) and belongs to the Laboratoire Interuniversitaire des Systèmes Atmosphériques (LISA), Université Paris Est-UPEC and Université Paris Diderot in France. She did her Ph.D at the University Libre de Bruxelles (Belgium) and her post-doctoral fellowship with Dr Jon. T. Hougen at the National Institute for Standards and Technology (NIST, USA). Her field is high resolution spectroscopy and in particular the modelling of the large amplitude motion and internal rotation of one or more methyl groups with application to astrophysical and biomimetic molecules, but also modelling of infrared spectra for planetological applications for C3v molecules such as ammonia NH3, phosphine PH3, acetonitrile CH3CN, etc. 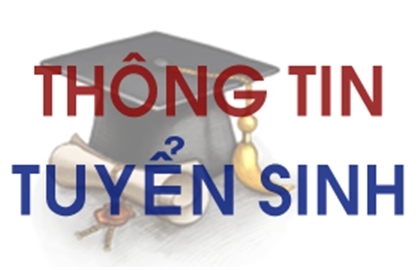 Trân trọng mời kính mời Thầy Cô và những ai quan tâm tới dự!